create a Square online store on any web presence. Ecwid provides a fully functional online store tailored to your product catalog, customers and settings. 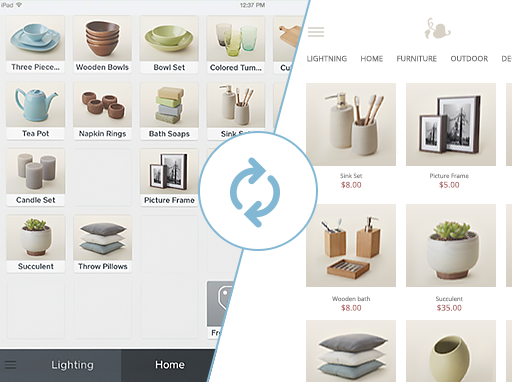 Link your online store with Square in just a few clicks — we guide you every step of the way. Configure separate product lists for your online shop and physical store front. Accept credit cards in less than 5 minutes with no monthly fees and no setup fees. You already have merchandise, customers, and are generating revenue from your sales in the real world, so why not take your online store one step further with a Square shopping cart from Ecwid? As a Square customer, you can easily export your products to Ecwid and have a nearly instant, ready-made, shoppable online store. By taking advantage of this feature you’ll be able to get your goods in front of more consumers and sell 24-hours a day — think of it as a business growth opportunity. In less than ten minutes, you can set up your Square shopping cart. Simply begin by exporting your products and prices to Ecwid to create a fully functional store. Then, paste it on any existing website or use our Starter Site. From there, you can link social media accounts, insert branded logos, and personalize content the way you like it – the design possibilities are endless. In addition to an automated Square online store for existing and new customers to shop, the Square POS system allows you to sell your products from multiple on and offline locations, process payments, track orders, and monitor all of your inventory. With a Square online store, you can conveniently keep tabs on precisely what has been sold and where — an excellent tool that removes the day-to-day hassle of any and all inventory concerns. If you sell out of a specific product online while you’re physically at the market selling to your other customers in-person, you’ll know you need to set aside the sold-out product to fulfill your online buyer’s purchase. This seamless synchronization feature makes it easy to ensure customer satisfaction. The Square online store is the ultimate small business solution as it allows you to spend more time on what matters most — marketing and customer service. 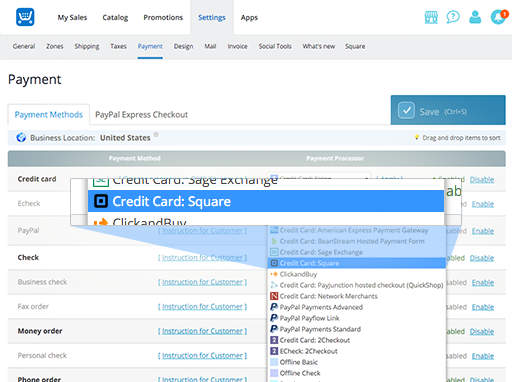 See for yourself, create your online store by adding your Square products today. If you’re like most of our satisfied customers, you’ll witness an increase in sales and will need to spend less time much time when it comes to managing your business. Join more than 1 million users in 175 countries on Ecwid.com, the international e-commerce platform. Integrate your Square and the Square POS system with Ecwid today, Click the “Get Started” button below to connect Ecwid’s Starter Site or your own domain to build a beautiful online store in just a few minutes! This feature is currently available in the United States, UK, Canada, Japan and Australia. Thanks to a new partnership, it is now possible to integrate Ecwid and Square so that you can sell offline, in person, from your social profiles, on your online store, or anywhere in between. Sign-up for your Square online store today! 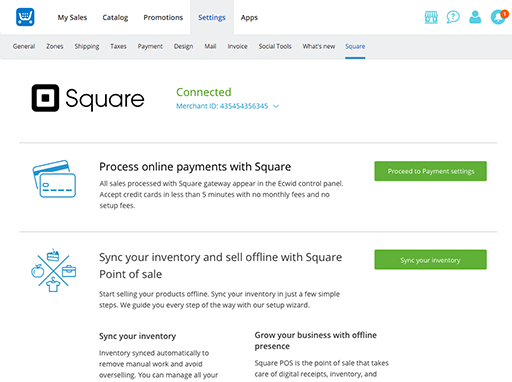 Are you already an Ecwid merchant and want to get started with the Square POS? Read this blog to learn how to get started with a Square online store and use this functionality on your site.